Princeton University Press, 9780691120485, 343pp. Popular Hinduism is shaped, above all, by worship of a multitude of powerful divine beings--a superabundance indicated by the proverbial total of 330 million gods and goddesses. 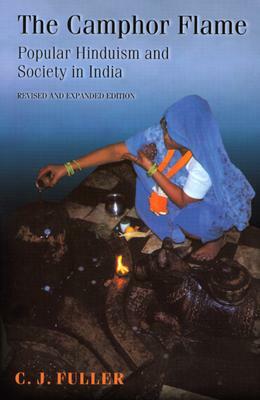 The fluid relationship between these beings and humans is a central theme of this rich and accessible study of popular Hinduism in the context of the society of contemporary India. Lucidly organized and skillfully written, The Camphor Flame brings clarity to an immensely complicated subject. C. J. Fuller combines ethnographic case studies with comparative anthropological analysis and draws on textual and historical scholarship as well. The book's new afterword brings the study up-to-date by examining the relationship between popular Hinduism and contemporary Hindu nationalism. C. J. Fuller is Professor of Anthropology at the London School of Economics and Political Science. His books include Servants of the Goddess (Cambridge) and The Renewal of the Priesthood (Princeton).